As the United States continues to perfect its currency to prevent counterfeiting, technology is keeping pace. Money counters are becoming more sophisticated and are helping police and businesses cut down on losses from accepting fake money. In Pennsylvania's Bangor Borough, police are urging business owners and citizens about a large amount of counterfeit $100 bills making the rounds. Several have been passed in supermarkets and other downtown businesses. Police told the local television station, WFMZ-TV, that business owners should be on "high alert." If the companies in question were using the newest money counter technology, they would have built-in counterfeit detectors in their bill counting machines. 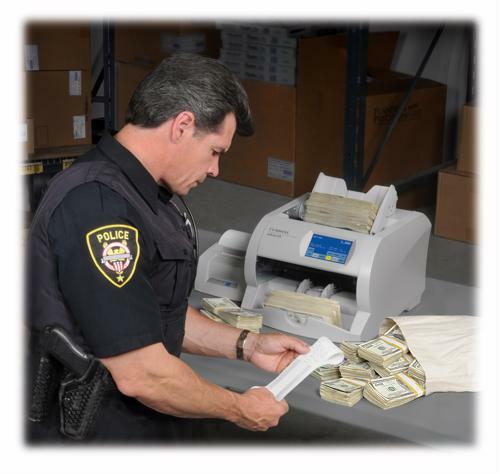 According to the U.S. Secret Service, roughly 66 percent of all counterfeiting is now done digitally and with scanners. That's up, they said, from 1 percent or less two decades ago. "Today's counterfeiter is able to produce counterfeit currency with basic computer training and skills afforded by trial and error, and public education," the organization said in an online posting. The Service's website also provides tips for business owners and consumers alike. The website also advised that being aware of the currency received is a very important clue to determining if it's real or not. The Service suggested people look for differences in the cash you receive, not similarities. Using money counters with counterfeit detection is a great asset in thwarting criminals, and a tool like the JetScan One-Pocket cash counter will help a business cut down drastically on losses incurred from phony bills being passed in the store.